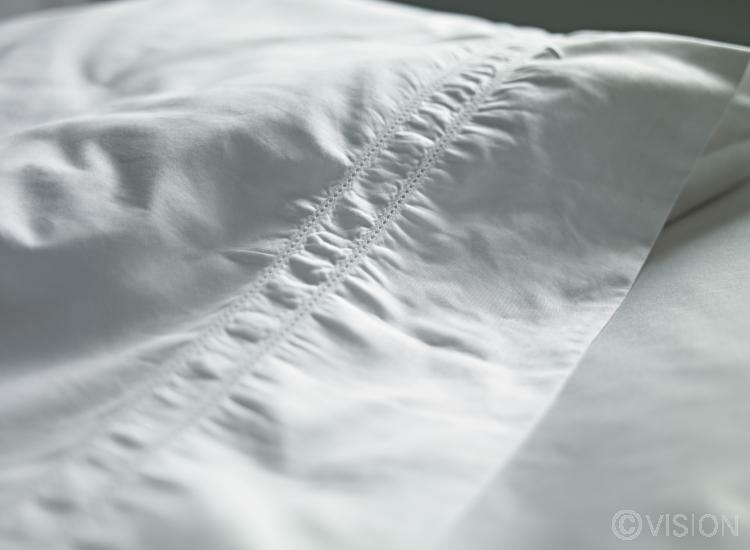 The boutique Aoife flat bed sheet is now reduced to clear. Beautifully crafted quiet luxury in the form of these Liddell 100% cotton flat bed sheets made from 300 thread count plain sateen. The Liddell Aoife collection features a picotting stitch detail.